Southeast Basketball Academy (SEBA) is an Atlanta based basketball company providing exposure events, instructional clinics, training, and travel teams to high school and college players throughout the Southeast United States. SEBA is dedicated to the full development of all of our players. Our major objective is to assist the player in improving their skills and providing exposure opportunities so as to allow for the realization of basketball dreams. The Southeast Basketball Academy is for the athlete who loves the game and seeks maximum development of their God given talent and potential. "Whatever you do, work at it with all your heart, as working for the Lord, not for men". 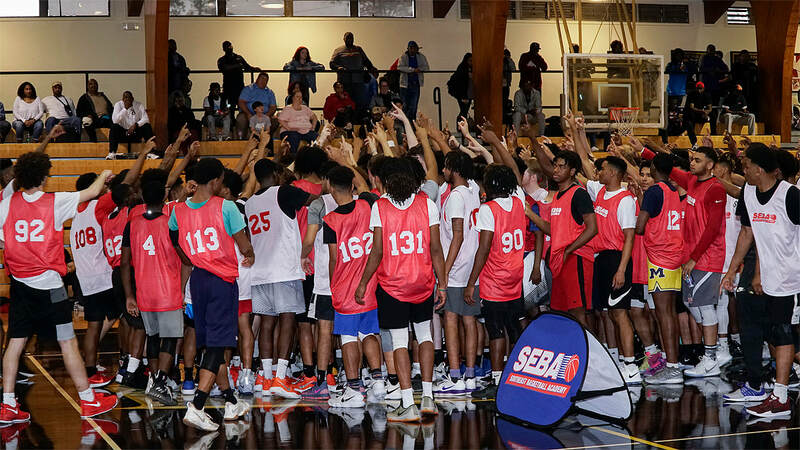 SEBA ATLANTA ALL-STAR SHOOTOUT: The Southeast Basketball Academy Fall Exposure Camp was held on September 15, 2018 in Atlanta. This 16th Annual Camp featured 200 talented prospects and attracted college coaches from across the Southeast. The event consisted of a complete day of competition, development, inspiration, and exposure for all of the players in attendance. The camp provided excellent exposure opportunities as numerous College programs from across the South were in attendance to evaluate talent.